Large Prunes $4.17 lb Sale Price 30% Savings Pits removed. 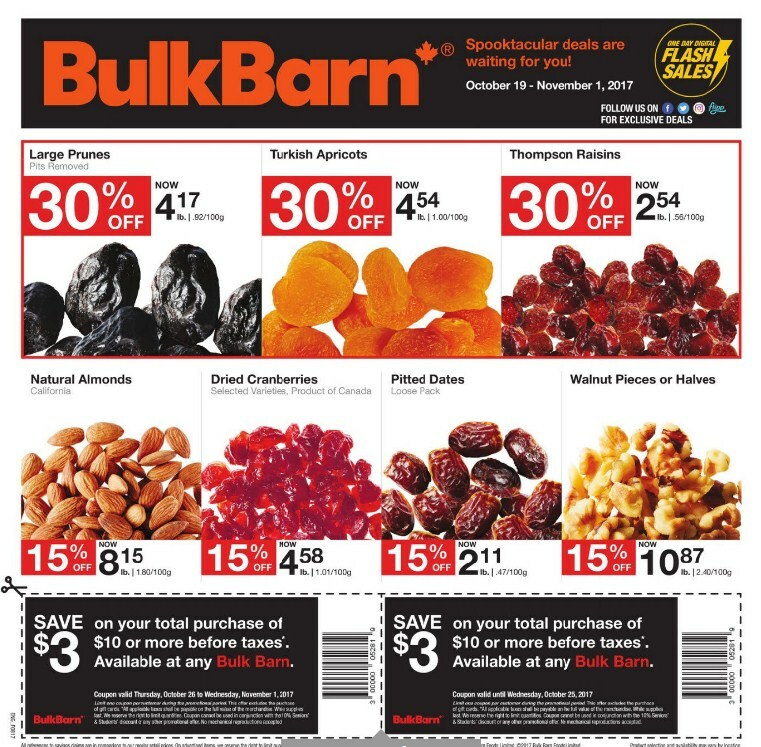 $0.92 100 g.
Turkish Apricots $4.54 lb Sale Price 30% Savings $1.00 100 g.
Thompson Raisins $2.54 lb Sale Price 30% Savings $0.56 100 g.
$8.15 lb Sale Price 15% Savings California. $1.80 100 g.
Natural Almonds $8.15 lb Sale Price 15% Savings California. 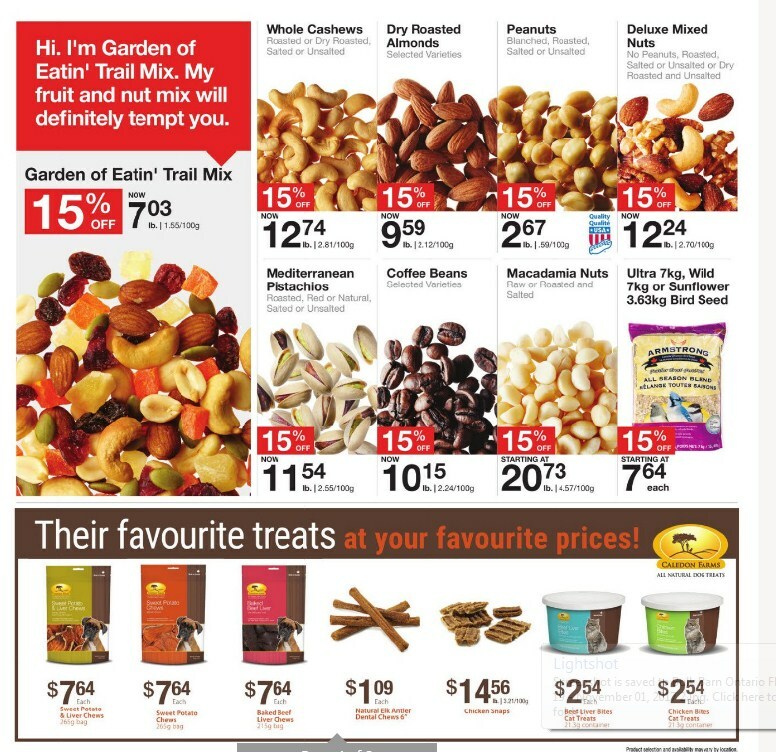 $1.80 100 g.
Dried Cranberriers $4.58 lb Sale Price 15% Savings Selected varieties. Product of Canada. $1.01 100 g. Pitted Dates $2.11 lb Sale Price 15% Savings Loose pack. 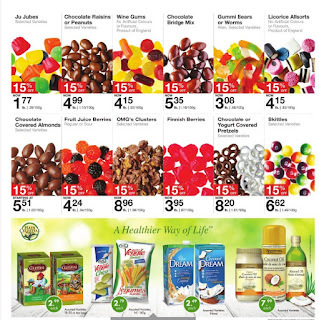 $0.47 100 g.
Ju Jubes $1.77 lb Sale Price 15% Savings Selected varieties. 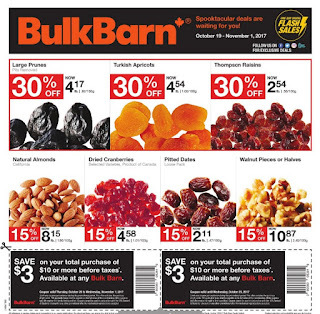 $0.39 100 g.
Chocolate Raisins Or Peanuts $4.99 lb Sale Price 15% Savings Selected varieties. 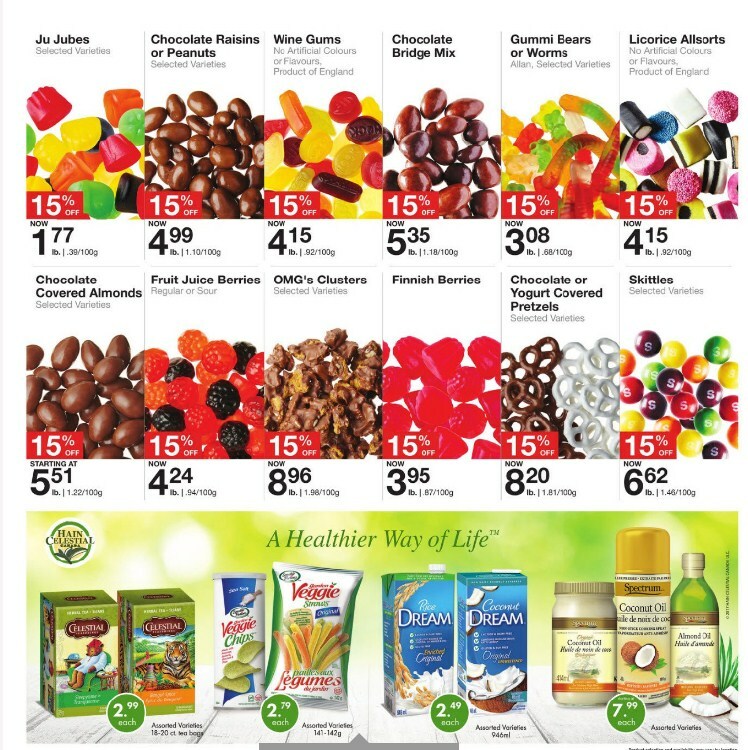 $1.10 100 g.
Chocolate Bridge Mix $5.35 lb Sale Price 15% Savings $1.18 100 g.
Gummi Bears Or Worms $3.08 lb Sale Price 15% Savings Allan, Selected varieties. $0.68 100 g.
Licorice Allsorts $4.15 lb Sale Price 15% Savings No artificial colours or flavours. Product of England. $0.92 100 g.
Chocolate Covered Almonds Starting at $5.51 lb Sale Price 15% Savings Selected varieties. $1.22 100 g.
Fruit Juice Berries $4.24 lb Sale Price 15% Savings Regular or sour. $0.94 100 g.
OMG's Clusters $8.96 lb Sale Price Selected varieties. 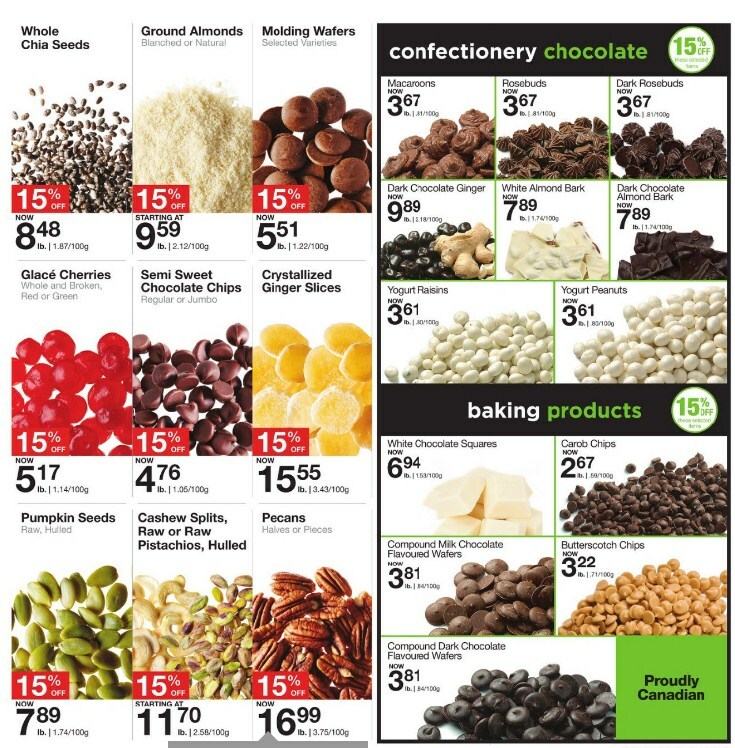 $1.98 100 g.
Finnish Berries $3.95 lb Sale Price 15% Savings $0.87 100 g.
Chocolate Or Yogurt Covered Pretzels $8.20 lb Sale Price 15% Savings Selected varieties. 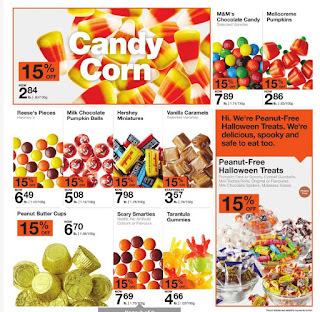 $1.81 100 g.
Skittles $6.62 lb Sale Price 15% Savings Selected varieties. 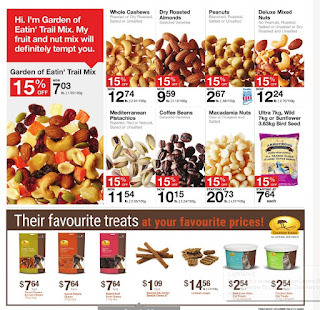 $1.46 100 g.
Hain Celestial Seasonings $2.99 Sale Price Assorted Bulk Barn flyer varieties. 18-20 ct. tea bags. Sensible Portions Garden Veggie Chips And Straws $2.79 Sale Price Assorted varieties. 141 - 142 g.
Rice Dream And Coconut Dream $2.49 Sale Price Assorted varieties. 946 ml. Spectrum Coconut Oil And Almond Oil Starting at $7.99 Sale Price Assorted varieties. 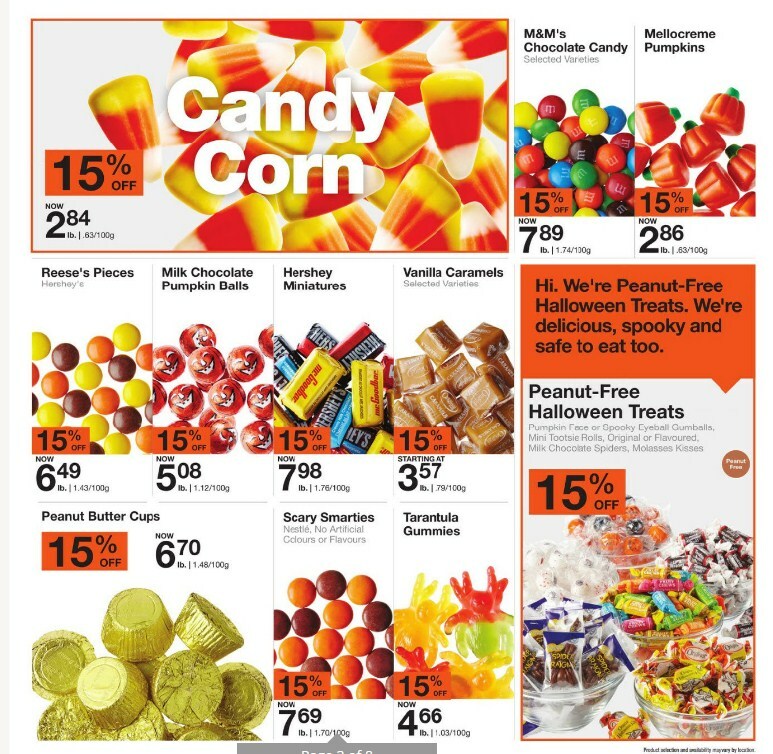 Candy Corn $2.84 lb Sale Price 15% Savings $0.63 100 g.